Todd Daggett is a carpenter by trade and a blacksmith for love of the art. He is an active member of the CLA and a member of the American Mountain Men since 1995. Todd strongly supports the CLA mission and says the Lexington Show is the only show he does all year. The plug bayonet is an early form of bayonet that is associated with use by the Canadian militia forces and native tribes during the French and Indian War and later. This one is a close copy of an original French and Indian War piece displayed at the Fort de Buade Museum in St. Ignace, Michigan. 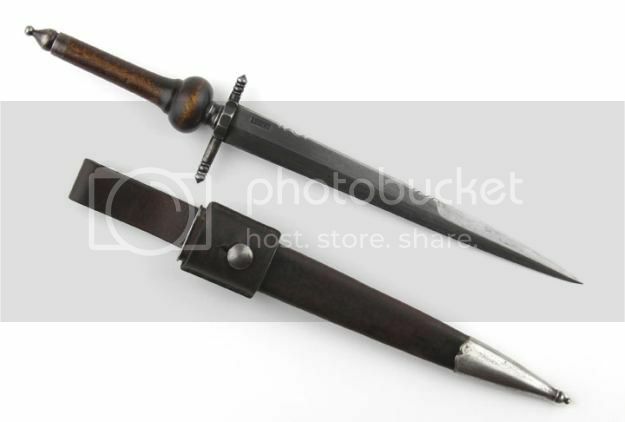 The benefit of this style bayonet (which was obsolete in the military by the mid-eighteenth century), was that it allowed non-military smoothbore firearms the use of a bayonet. The handle of the plug bayonet could be inserted into the barrel of fowlers, trade fusils, and other smoothbore firearms which had no provision of a bayonet lug for the standard socket bayonets. By force fitting the tapered handle into the barrel, the knife could become a bayonet. Another benefit in addition to serving as a bayonet is that it could also be used as a knife since it had a cutting edge and a serviceable handle. Todd’s plug bayonet has a blade and guard hand forged, drawn and packed from 1-3/8″ x 5/16″ spring stock, hardened and tempered accordingly on a coal forge. The other mounts are made from mild steel, shaped and polished with hand tools. The handle is hard maple stained using an aqua Fortis and gunstock finish with light aging. The rig is completed with a traditional sheath, a hard maple wood insert wrapped in vegetable tanned cow hide; hand stitched with waxed flax thread and mounted with iron tip with an acorn finial, top guard and stud, all lightly aged. Todd said he chose this work to support the CLA auction because “it is challenging work on a coal forge but, when done well is of heirloom quality. 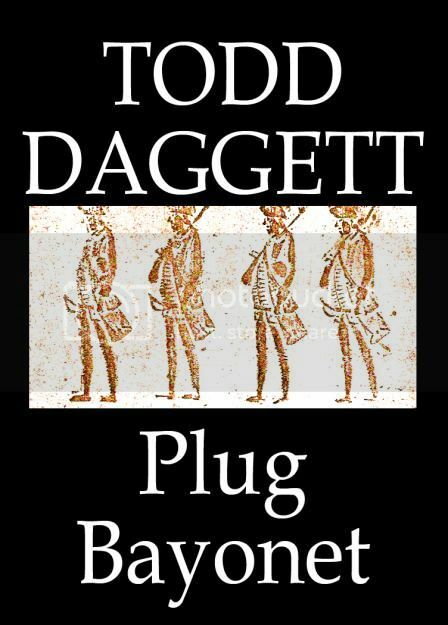 The kind of quality that I hope will be handed down for many years, even after I am long gone.” This plug bayonet meets Todd’s goal.